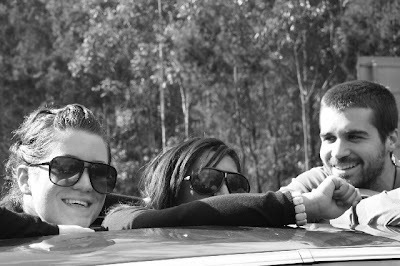 Just some happy snaps of the trip up the coast... 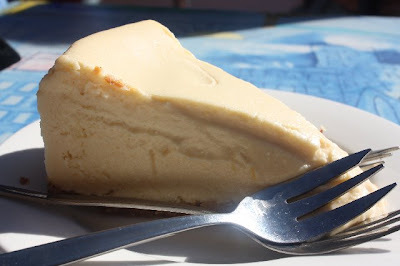 This is an organic lemon cheesecake from Fundamental Food in Byron Bay. It's a midwinter's day lemon cream dream. Pale and sweet and simply beautiful. It is a tale of luscious and citrus spiked creamed cheese, set upon a forceful but meltingly crumblish oaten tasting biscuit base. Wholesome and delicately sweet, exactly why I love organic desserts especially. A beautiful parabola between moistness and chewy dryness, and so damn delicious! It tastes as delicate a lace. We managed to oooh and ahhh over this little lemon lovely even despite the confusing and hilarious presence of a tubby stoned man, a few tables over, posing some of his deepest thoughts in (rhyming) song: 'Would you like to taste, the sweetness beneath my waist'? Heh. Don't let stoned hippies prevent you from Cake Heaven. Fundamental Food is on Jonson Road and has a whole range of gorgeous looking gooey organic baked goods in its cafe. 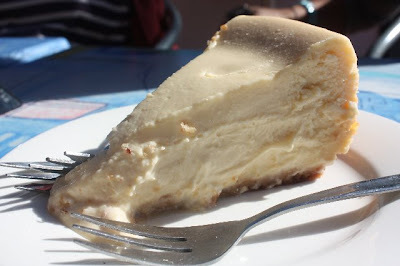 We spied a divine banana bread and carrot cake, but our efforts to exercise some restraint resulted in the choice to make an unholy trinity of this one piece of lemon cheesecake beauty. 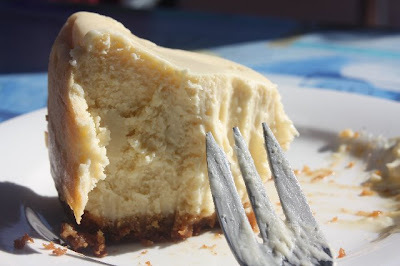 The desserts all have beautifully textured finishes, look moist and never dry, and come in large olden day aunty may like wedges, dolloped with creamy icings that don't look garish and sickly, but so welcoming and wholesome. The salads looked great, but I didn't have any room after dessert! 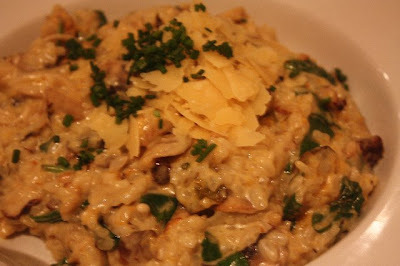 ...and the four mushroom risotto from The Federal Hotel in Bellingen. An awesome foursome of mushroom. A meaty scrum of maddening mushrooms, all open slather in some sharp and creamy parmesan. This dish was deep, rich and so warming on a freezing Bellingen evening. They used a cream in this dish I think it could have done without, the delicate flavours of the mushrooms get a teeny lost in the heaviness, but it was still bloody marvellous stuff. This hotel has previously won best pub food in Australia, it's no Local Taphouse, but it's still a damn fine dinner. Joelle, Erin and Dan, so much fun and so much food. Next time we have to work a little more on our tans, and a little less on our guts. Thanks also to Sarah Blasko for the beautiful sounds.